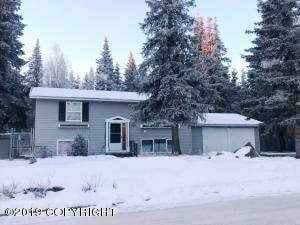 DESCRIPTION: 3 bedroom 2 bath plus family room, bedroom 3 could easily be 2 bedrooms. Enjoy this convenient location with a large yard, deck and room for everyone! Plenty of storage and a garage big enough for your car and your stuff! Flooring is all new, fresh paint. Boiler and hot water heater replaced in 2015. 2 wood fireplaces to keep you cozy. DRIVING DIRECTIONS: Kenai spur to N Forest, right on pine. house is on left.